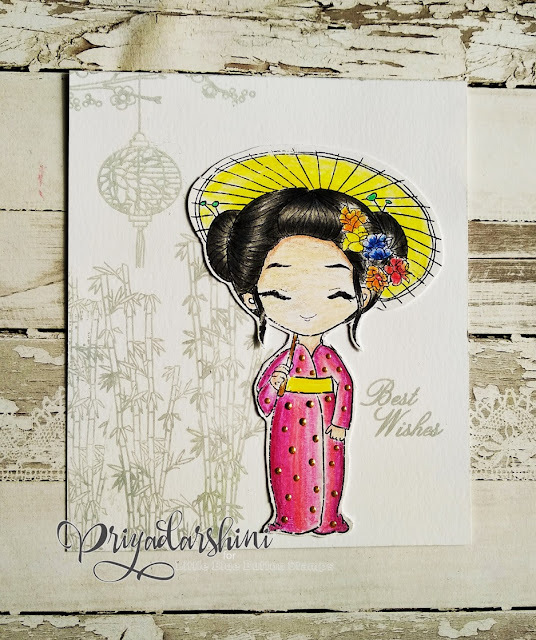 I am Priyadarshini and I am here at LBB blog with a cute card. 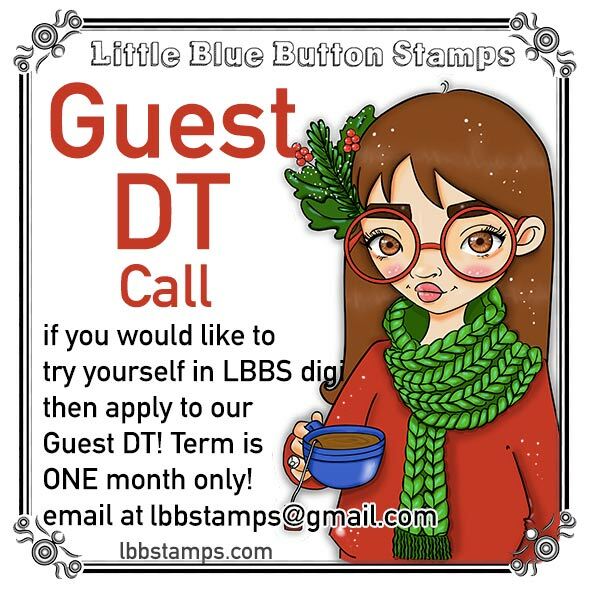 I have used an image from LBB stamps to make a CAS. I have used Miss Lilly sakura for this card. My total focus is on the image. I printed out the digi and coloured the image using polychromos colour pencils and fuzzy cut (super easy image to fuzzy cut). I used some stamps for the background from my old statsh to stamp some lamp and bamboo stalks on the background using light gray ink from altenew.